We're all guilty of leaving our phones, laptops and other devices to continue charging even when the battery percentage has reached 100 percent and has fully charged. 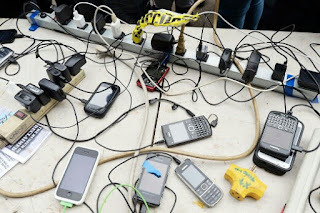 Sometimes, it could be that we are charging and using our phones or laptops at the same time, hence there's no need to unplug because the battery might drain. In most cases, we leave our devices to overcharge due to epileptic power supply and the possibility of power interruption. But, studies have shown that charging your batteries even up to 100 percent is quite harmful to its health and lifespan. Of course it's true that most smartphone batteries are so bad and don't last for long, with some barely lasting 4 hours. But did you know that your battery could last longer if you use and charge it it right? Some people have the ideology that charging phones in short intervals would cause long-term damage to batteries and that it's better to charge them when they're close to dead. But that's actually not true and a bad practice. If you want to keep your smartphone battery in top condition and go about your day without worrying about battery life, you need to change a few things. Once your smartphone has reached 100% charge, it gets "trickle charges" to keep it at 100% while plugged in. It keeps the battery in a high-stress, high-tension state, which wears down the chemistry within. According to Battery University: "When fully charged, remove the battery" from its charging device. "This is like relaxing the muscles after strenuous exercise." You may liken that scenario to when you return from work after a really long and stressful day, then you take a cold bath and relax with some ice cold beverage. It is advisable not to charge up to 100% if possible. Battery University also states that "Li-ion does not need to be fully charged, nor is it desirable to do so. In fact, it is better not to fully charge, because a high voltage stresses the battery" and wears it away in the long run. That might seem unrealistic if you're trying to keep your smartphone charged all day, but just plug it in whenever you can during the day, and you'll be fine. When you overcharge your phone or other device batteries, you cause them to lose charge and maximum output overtime. That's why you notice that your smartphone battery doesn't last long anymore after about a year. It's largely because you have been charging it wrong all these while. Also, it's a bad practice to use your phone while charging either by playing heavy games or surfing the net. Try to limit this practice as much as possible. Lastly, always ensure that your battery temperature does not exceed the safety range while using the phone or charging. You know batteries overheat and such overheating causes them to lose power overtime.